Expanded the rock shader with some ambient lighting. This makes the asteroid look less flat and show some more of the structure. 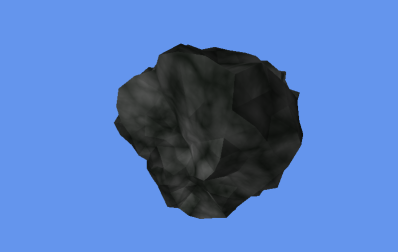 This is medium complex asteroid that still looks a bit dark, but looks detailed from a distance. This is the highest complex rock. 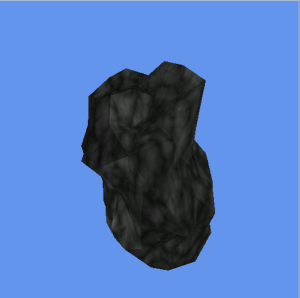 It looks like coal. It is probably a good idea to add some white parts that looks like ICE. 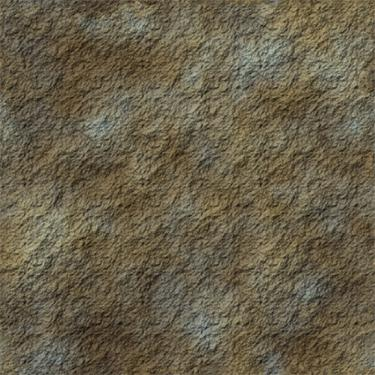 Developed a procedure to generate Perlin noise in a 3D Texture. 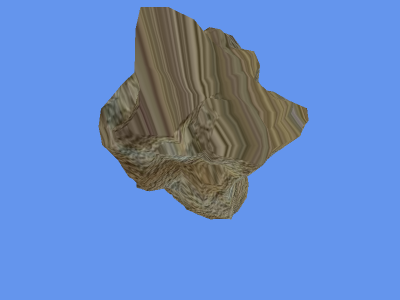 I got the idea to texture the asteroids this way from the Orange Book (OpenGL Shading Language, 2nd Edition (2006)), but I needed to convert the GLSL shader code to HLSL. I am not a crack at that stuff so that was a bit hard to develop. The benefit of this procedure instead of Projective texturing is that it always looks crisp and non distorted at any angle or distance. 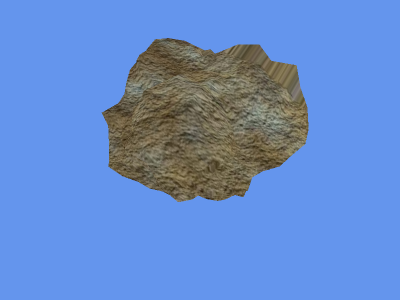 So everything about the rock is procedural now!!! 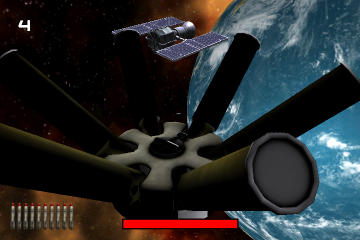 Now the next step is to smooth the asteroid, so that the lighting is more realistic. And probably add some more irregularity. 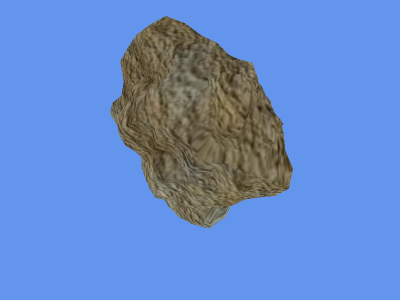 Some bump/normal mapping would make the asteroid more realistic. 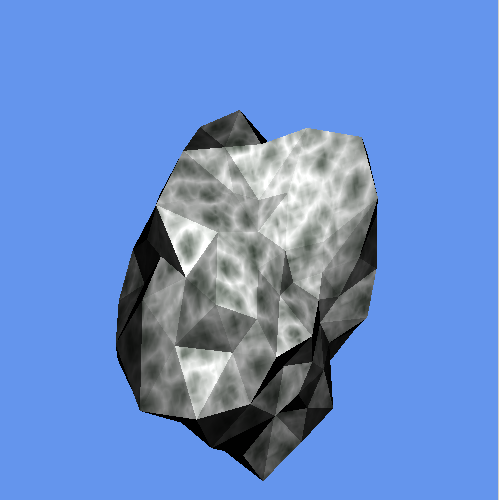 Developed a procedure to create rocky asteroids. They should be very lowpoly because there will be a lot of them in Psirens. The algorithm is ported from the PovRockGen utility. A lot of work on the geometry had to be done. The face indices were completely missing and I had to think up a way to find the correct triangle winding order. I did this by finding a common edge between two triangle and changed the indices in a way that the counter-clockwise order was valid. A lot of improvement on the speed of this algorithm should be done because the triangles are not sorted beforehand, making the algorithm slow for complex rocks. 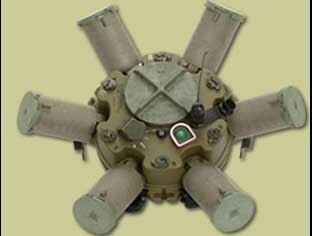 As you can see that the picture does not look good from all angles. Left upper corner looks undistorted, the right upper corner is heavily distorted. Sometimes the rock has deeper parts and show some distortion too. 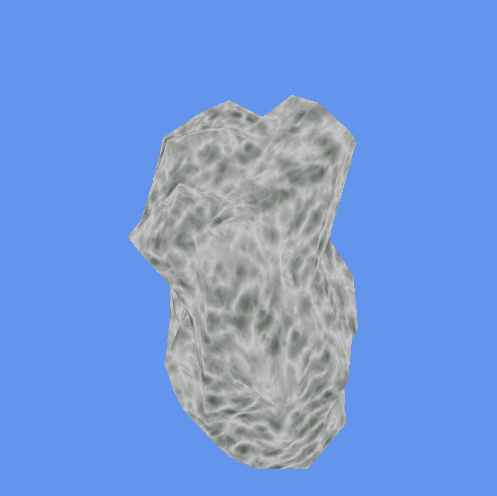 The asteroid will need a lot more projections and with the correct blending this will lead to a less distorted view.